Join the Studio Mode team for a unique educational experience devoted to exploring the intersection of natural systems and advanced manufacturing. 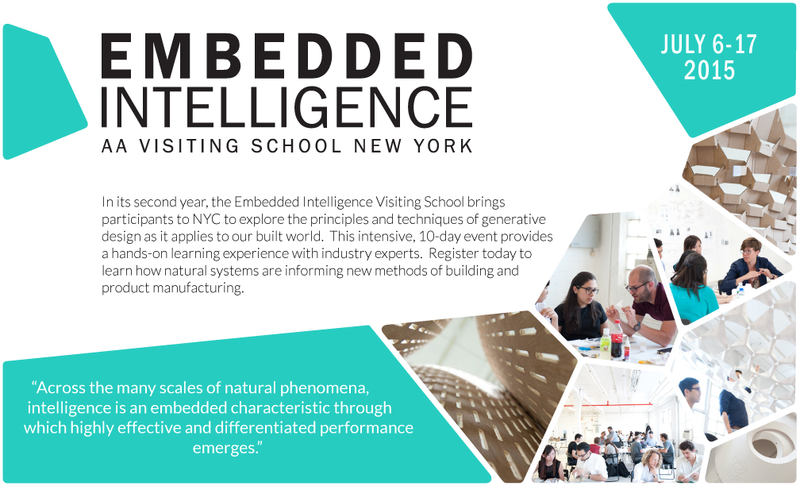 In its second year, Embedded Intelligence examines the influence of biological models to enhance architectural systems. Workshop participants will fabricate and prototype composite high-performance surfaces in an intensive studio environment. 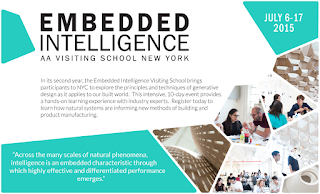 The workshop is supported by a series of lectures from leading academics and practitioners in the fields of architecture, engineering, biomimetics, and computation. Included is Sean Ahlquist of The University of Michigan and Chuck Hoberman of Hoberman Associates. For more lecturers check out the schedule.